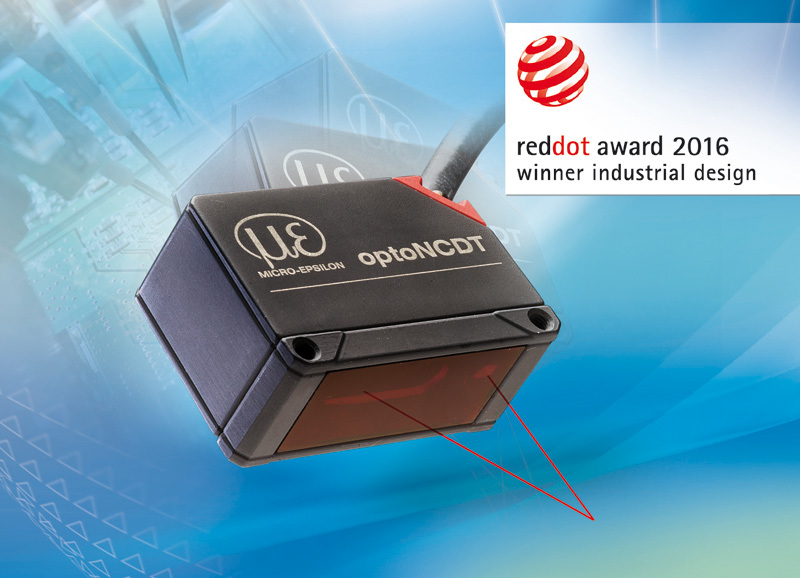 Laser triangulation sensors measure displacement, distance and position on a non-contact, wear-free basis. 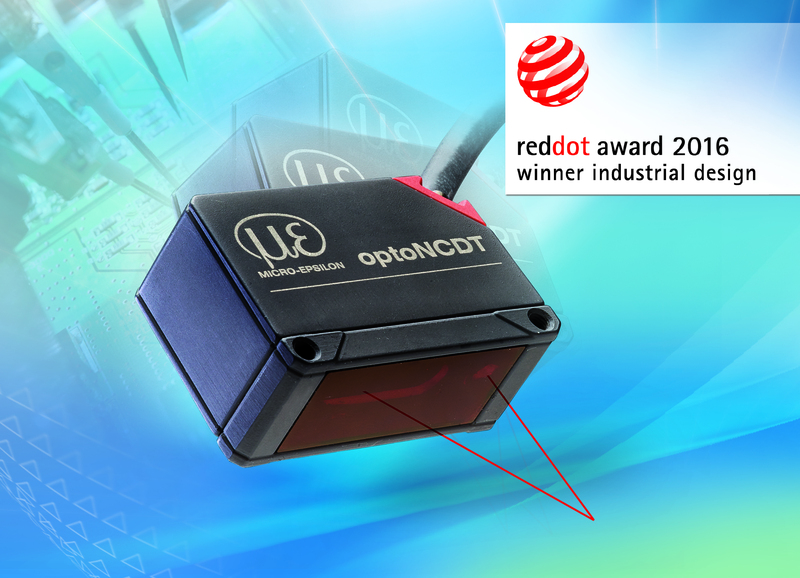 With the optoNCDT 1320/1420 laser sensors, Micro-Epsilon sets new standards in laser triangulation as well as functionality and design. The latter has now been rewarded with the Red Dot Award Industrial Design 2016. This design competition for products was established in 1954. The »Red Dot« award is a globally acknowledged seal of quality. A 41-member jury of experts rates the best products of the year from a record-breaking 5,214 products from 57 nations. The winning laser triangulation sensors convinced the jury due to the perfect interaction of several factors. The sensors are extremely compact with an integrated controller, which means they can be installed in restricted installation spaces. These smart miniature sensors come with lots of new features - both internally and externally. They provide metrological innovations, a sensor-specific color coding of the cable bushing and an intuitive web interface. The extremely small laser spot size, which is focused through an optical system to a very small diameter, enables the measurement of extremely fine details. These predefined presets and the quality slider enable easy sensor configuration and parameter set up. The sensors can be used in numerous industries. As well as in the electronics production, they are also applied in the packaging industry, wood processing, logistics, medical engineering, laser engraving equipment and quality assurance. Further application examples are pick-and-place machines, inline bodywork and tool positioning, inner diameter of pipes and the measurement of plastics parts, where the penetration of the laser into different material mixtures and colors is a particular challenge. The latter is easily met by existing sensor pre-settings.